Live Drawing Workshop with English National Ballet at Bristol Hippodrome. Drawing dancers from life during a professional on-stage ballet class in the auditorium of Bristol Hippodrome using chalk pastels and charcoal on brown parcel paper. Collaborative fabric print and finished garment. 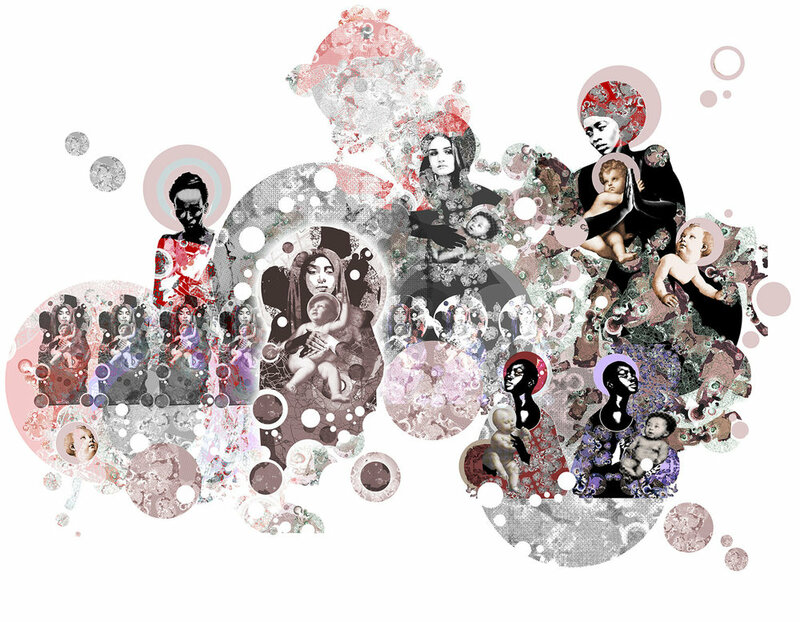 A personal project, inspired by the artist Grayson Perry. 'ManDonna' - embossed leather with digital prints. 'Red Alex’ and ‘Cavalcade’ - digital prints with gold leaf detail. 'Mirthday’ - digital print with gold leaf detail. ‘Lilies’ - acrylic and Gouache illustration. ‘Cheeky Girl’ - digital print.